This Datejust with ‘Blue Denim’ dial with its Roman numeral minute track (outer minute indicator on the dial) is a sight for sore eyes! Usually these 16200 references can be found with black or silver dials, but blue – not so much! That makes this a very cool piece to own! The dial itself is truly spotless and looks extra clean because of the bright white printing. 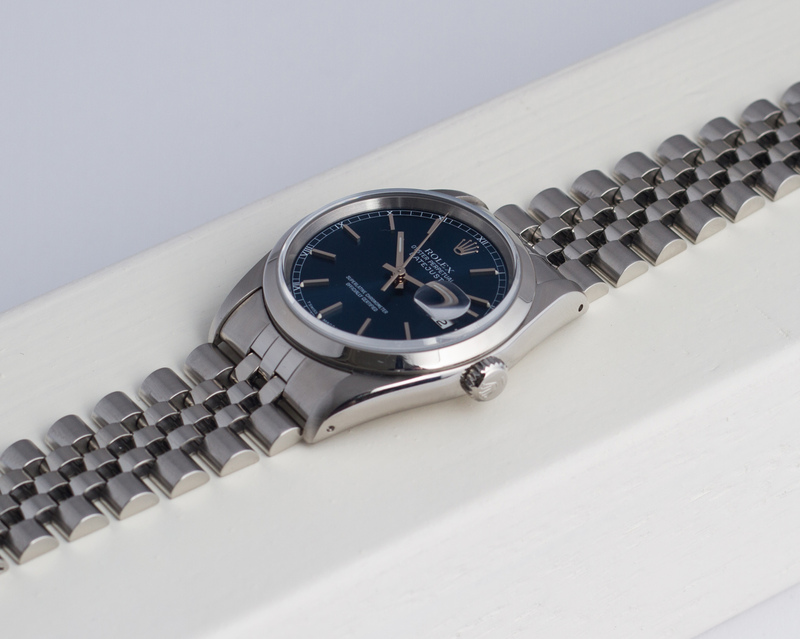 The Jubilee is a 62510 H bracelet and is in a fair condition – its not like new but absolutely NOT over-worn or over-stretched. 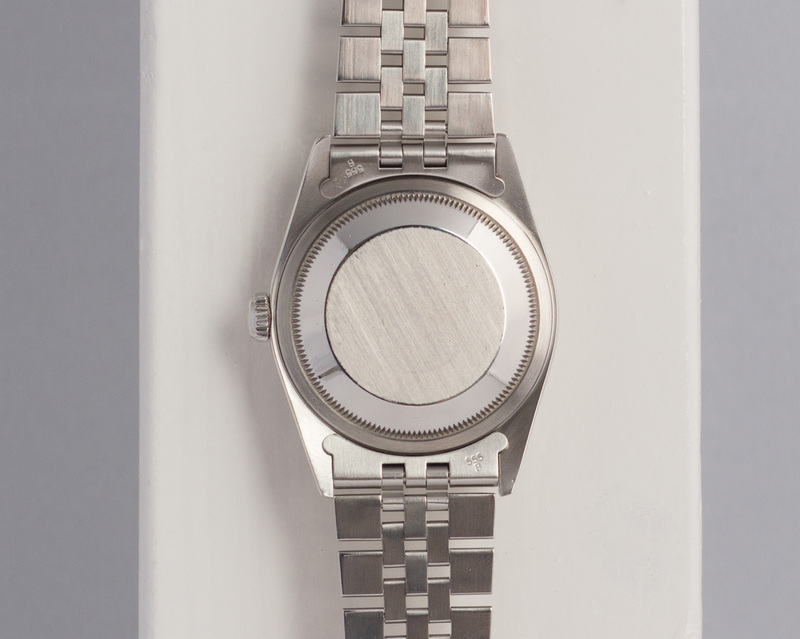 The case and smooth bezel on this Datejust are in a great and clean condition! No scratches dents or any other nasty stuff. 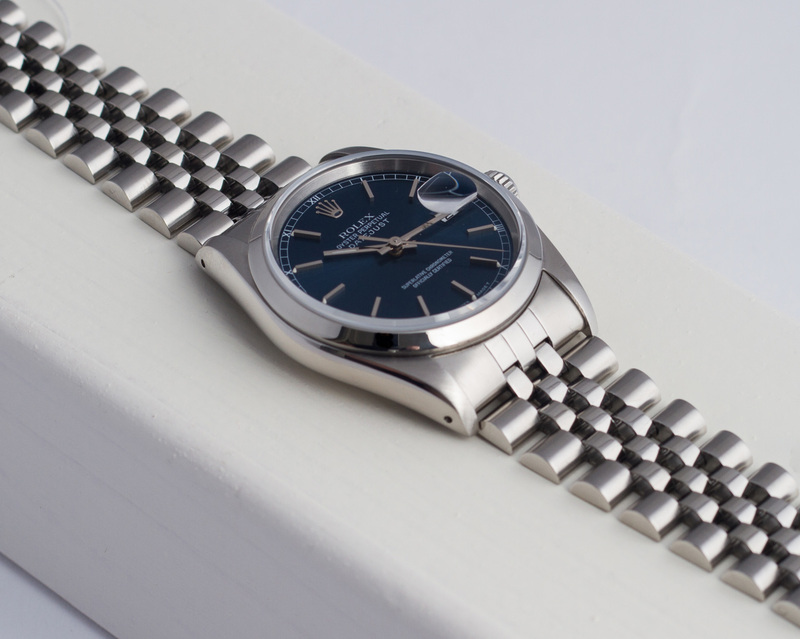 In short – This is one hell of a Datejust! Because of the sapphire crystal and 100% guaranteed waterproofness of the watch, it’s perfect for everyday use and all kinds of activities. The beautiful Blue Denim dial is something you won’t see everyday and goes with any outfit and is just perfect for any Fashionista or Denimhead out there! (Or for anybody that absolutely loves the color blue for that matter). 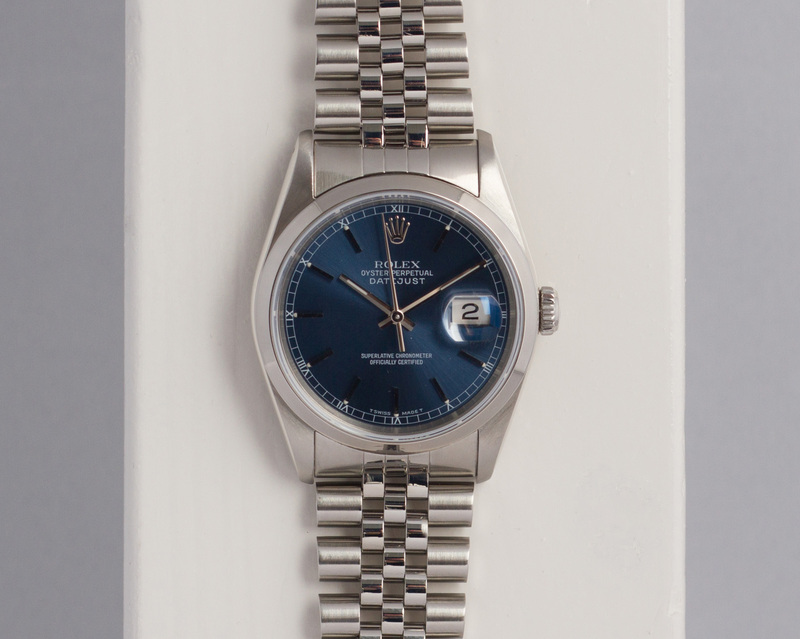 This 1991 sapphire Datejust is in an excellent condition and has been fully serviced by our watchmakers and will be sold with a 12 month warranty.